Mike & Molly is nearing its end. Star Billy Gardell recently spoke to TV Guide about the last episode of the CBS series. The comedy, which stars Gardell and Melissa McCarthy, was cancelled by CBS in December. He added that there were definitely “a lot of watery eyes” during the last week of shooting. The series finale of Mike & Molly airs on May 16th. What do you think? 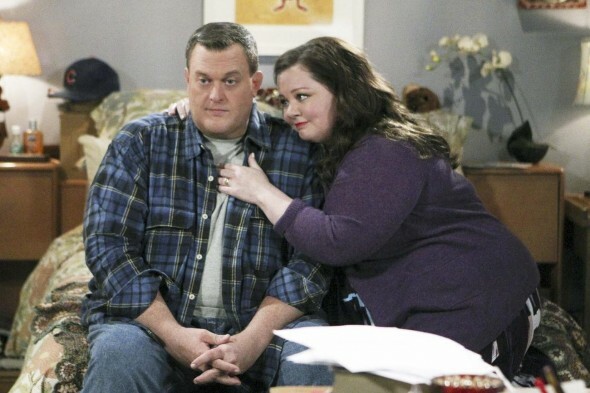 Are you a fan of Mike & Molly? What do you hope happens in the series finale? More about: CBS TV shows: canceled or renewed?, Mike & Molly, Mike & Molly: canceled or renewed? I know I’m going to cry at the end of the last episode. Boooo to CBS for cancelling this great show. I don’t want this show to end but if it has to I hope Molly is finally pregnant. I HATE to see Mike and Molly cancelled. It has a stellar cast, top notch writing, and a good following. All of the characters are amazing. Right now Melissa McCarthy is at the top of her game. CBS, what in the name of all that’s holy possessed you to do something so stupid?!? It makes me think much less of the network.